The report is based on forty-five day practical experience in Islami Bank Bangladesh Limited (IBBL), Foreign Exchange Branch, Motijheel, Dhaka. This report undertakes a study on the pioneer Interest-Free Financial Institution in Bangladesh, “Islami Bank Bangladesh Limited” (IBBL). The aim of the study was to observe the way IBBL is performing Banking business in interest free and Shari’ah complied methods. In this attempt we tried to know how Islamic banking activities differ from that of a conventional bank and also to see how Islami bank contribute to render financial services towards to the mass people efficiently. By discussing specifically the foreign exchange and foreign trade operations of IBBL, we tried to discover how the bank provides international banking services in interest-free and shari’ah approved method and holds the first position in terms of Import, Export, and Inward foreign remittance business. Banking plays an important role in the economy of any country. Bangladesh is the third largest Muslim country in the world with around 150 million populations of which about 90 percent are Muslim. These people possess strong faith on Allah and they want to lead their lives as per the construction given in the holy Quran and the way shown by the prophet Hazrat Mohammad (Sm). But Islamic banking system was developed here up to 1983 was centered to interest, which strongly prohibited repeatedly in Islam. This interest based banking system had been in action right from the British colonial period and employment of the Muslims in banks was more or less restricted. During the period 1947-1971 when country was a part of Pakistan but the rulers did not take any practical attempt to establish economic system based on Islamic Principles. Since independence, Bangladesh saw a new trend in banking both at home and abroad. Islamic banking as a new paradigm started in Bangladesh in 1983 with the establishment of the first Islamic bank “Islami Bank Bangladesh Limited”. The innovation of interest-free banking systems, proved its worth in the country’s money market and many new banks have been established to operate in compliance with Shari’ah and many traditional banks have opened their Islamic banking braches. The report mainly consists of seven sections. The introduction chapter consists of origin of the report, objectives, methodology of the report and also some limitations in doing the report. In the first section there is an introduction to Islamic banking systems. In chapter 2, the report defines about the background, rationale, objectives & ideology of Islamic Banking system. Chapter 3 focused on an overview of IBBL expressing its business philosophy, objectives, goals, mission, vision, products, management structure, organizational structure, and business principles. Chapter 4 provides brief idea about the functions of IBBL, which includes deposit accounts, investment methods, and foreign exchange business. Chapter 5 represents an overview of Foreign Exchange Branch. Later a brief idea of the International Banking Wing (IBW) is given. IBW manages the foreign exchange operations of IBBL. The Foreign Exchange Department includes import, export and remittance and other related affairs that are presented next. In chapter 6 import services and financing products are described. Import performance from different point of view is presented in this chapter. The seventh chapter deals with export, and export performance as well as other related aspects. In chapter 8 inward foreign remittances is covered with discussion on performance from many aspects and related discussions. In the ninth chapter supporting business practices to international banking are discussed. In the tenth chapter, there is SOWT analysis and the problems for Islamic banks, problems of IBBL, and development plans of IBBL are discussed. There are limitations, which are identified, and some recommendations to overcome those limitations. In Chapter 11 there is Findings, Recommendation & Conclusion. For the continued expansion of the Islamic Banking system, a number of issues pose serious threats to the Islamic banks and these are needed to be carefully addressed. This paper discusses and makes recommendations on the more pertinent of these issues particularly the development of an Inter-Bank Islamic Money Market, activation of Shari’ah Supervisory Boards, enactment of a full-fledged Islamic Banking Act, development of New Financial Products in line with the Islamic Shari’ah, and extension of investment in line with PLS framework, especially by constituting consortium or syndication by the Islamic banks. The paper suggests that diversification of investment should be emphasized. Banks are the most important financial institutions in a modern economy. They are an integral part of modern economic activities. They play a pivotal role in the development of a country. They help accelerate the pace of development process by securing uninterrupted supply of financial resources to people engaged in numerous economic activities. The role of banking is comparable to what an artery system does in the human body. Main role of banks are financial intermediation i.e. mobilization of funds from small depositors and allocate them to entrepreneurs for investment. Though, initially the major function of banking was to mobilize savings and transfer them to entrepreneurs, over time they have come to perform a number of other functions as well. In addition to offering their services for safe custody of money, and other valuables, they also offer demand deposits, easy transfer of money, letters of guarantees, collection of utility bills, and loans for consumer durables and investment. Because of the development such as credit cards, ATMs, etc it has become very easy to make payments through bank. In a modern economy a large part of current incomes are deposited with the banks. Because of the facilities mentioned above, people desire to get their money increased through investment and avoid withdrawing except emergency. This phenomenon enables the banks to “create” money out of money. They also help transfer of financial resources from surplus units to deficit units and, hence, helps accelerate the pace of development by securing uninterrupted supply of financial resources to people engaged in numerous economic activities. The tremendous development that the world economy has experienced in the last few decades was contrib­uted by several factors among which, growing institutional supply of loan able funds must have played the pivotal role. The role of banking is comparable to what an artery system does in the human body. Both commercial banks and other development financial institutions provide short, medium, and long-term credits to businesspersons and entrepreneurs who usually take the lead in the venture of economic development. Therefore, Islamic scholars have dealt with the theoretical foundations of the banking activities with a view to find alternative. To give on overview of Shariah based Islamic Banking system in Bangladesh especially of IBBL. To show the investment mechanism and offerings in different modes of IBBL in case of Foreign trade Investments. To show the differences with conventional banking regarding investments aspects. To provide an overall overview of IBBL. To have exposure to the functions of IBBL (e.g. foreign exchange, general banking & investment). To observe and analyze the working environment & performance of the specific branch (Foreign Exchange Branch) and the bank as a whole. To gain ideas about foreign trade, import, export and inward foreign remittance of IBBL. To identify strength, weakness, opportunity & threat (through SWOT analysis). To identify the problems related to Islamic banking and specifically that of IBBL. To recommend actions that may be necessary to solve the problems. The report covers the organizational structure, background, objectives, functions and the foreign exchange and foreign trade performance of the bank. . The scope is also limited to different investment schemes, modes, mechanism, investment proposal appraisal procedures, monitoring and documentation of IBBL. The scope of the study is just to acquaint with the operational mechanisms of IBBL, international banking system & the services it provides to the customers. IBBL offer the common & usual services like the other commercial banks, but this study will show how it succeed to perform these activities in Shari’ah complied methods. Foreign exchange and foreign trade section. We specially covered the Foreign exchange and foreign trade section. Both the primary as well as the secondary form of information is used to prepare the report. The details of these sources are highlighted below. Face to Face conversation with the respective officials of the bank. Practical work exposures on different desks of the branch. Practical experiences of the officials. Different circulars sent by Head Office, Government and Bangladesh Bank. Publications regarding banking functions, foreign exchange operation and credit policies. Being required to complete the internship program and prepare the report timely we faced the following limitations. ¨ The major limitation was the sensitivity of the data. As it is a highly competitive market, release of material information to competitors have negative impact on business. As a result, in some cases management was reluctant to give some specific data. ¨ Six weeks is a very short period to scrutinize all the activities of all departments of a leading banking company like IBBL. ¨ Extreme work pressure restricted the officials to give us much time even if they had cordial intentions to provide information. ¨ Some questions were avoided or not exactly answered by the respondents may be because of lack of clear idea. ¨ Secondary sources of data relating to the banking industry in Bangladesh are very limited as sufficient books, publications and journals were not available. ¨ Being the report based on the experience of six weeks in IBBL, the findings may not be considered as representative one. Despite all these limitations, we have given the best of our efforts and tried to make the report as informative and comprehensive as possible. What is an Islamic Bank? An Islamic Bank is a financial institution which operates with the objective to implement and materialize the economic and financial principles of Islam in the arena of Banking. Islamic Bank is a “company which carries on Islamic Banking business. Islamic Banking business means banking business whose aims and operations do not involve any element which is not approved by the religion Islam”. That means Islamic Bank developed under Islamic framework, performs most standard banking service and investment activities conforming the principles of Islamic Shari’ah. Although Islamic Bank is a financial institution, its operations and activities shows that Islamic Bank as a Business firm with Halal transaction within the boundary of Islami Shari’ah. The main objective is not only to earn profit but also to make welfare oriented, interest free, and exploitation free economy of a country. In any economy, funds need to be transferred from savers to borrowers because people who save are frequently not the same people who have the ability to invest the funds in profitable investment opportunities as they are not entrepreneurs. This function is performed through the process of financial intermediation in the financial markets. The most important operators in the financial markets are commercial banks. Financial intermediation enhances the efficiency of the saving/investment process by eliminating the mismatches inherent in the needs of surplus and deficit units of an economy. The role and functions of commercial banks are indeed highly useful and socially desirable, but unfortunately, interest plays a central role in each of these functions. Islamic financial intermediation endeavors to replace interest by establishing partnerships between owners of capital and entrepreneurs or borrowers on the basis of profit sharing as a basic form of co-operation between capital provider and borrower. The functions that the banks perform are important whether the economy concerned is secular or Islamic. People need banking services. However, conventional banks perform their borrowing and lending activities and most other functions on the basis of fixed interest. In Islam, both giving and taking of interest is prohibited. Prohibition of interest is based on Quranic verses and authentic ahadith repeatedly and with the harmful effects of interest. Now, since the banking services are needed but interest is prohibited, Islamic economies have to find alternative ways of performing various banking functions. This challenge provides the rationale of Islamic banking. Islamic scholars have provided a number of alternative ways of performing necessary banking activities. The idea of Islamic banking took as many as thirty years for its conceptual consolidation and only by the early seventies did it take the shape of the present day comprehensive model. The system is based on the Islamic legal concepts of shirkah (partnership) and mudaraba (profit sharing). Many Muslim economists contributed to the development of thinking on Islamic banking, the notables among them are Nejatullah Siddiqi, Baquir al Sadar, Abdullah al Araby, Sami Hassan Hamoud and Ahmed al Naggar. Siddiqi primarily conceived an Islamic bank as a financial intermediary mobilizing savings from the public on the basis of mudarabah and advancing capital to entrepreneurs on the same basis. Profit accruing to entrepreneurs on the capital advanced by the bank are shared by the bank according to a mutually agreed upon percentage. The bank also provides a number of familiar services on a fee or a commission basis. The bank’s own capital also goes into the business of offering banking services and advancing capital on a profit sharing basis. After accounting for administrative costs, the net revenue on these business activities constitutes the bank’s profits, which are distributed to the owners of capital, both to the individuals that deposited their savings on the basis of mudarabah and the bank for its capital investment. Islamic Banking activities are regulated according to Islamic Shari’ah. Islamic Bank is directed by Shariah board, which consists of many brilliant and famous intellectuals, economists, banker and lawyers. All economic activities are free from interest. It tries to coordinate economic and social development. The shareholders and the depositors are the only source of funds for Islamic banks. They do not use borrowing as a source of finance. Islamic bank avoid investment in debentures and bonds because of their fixed rate interest. To conduct interest free banking systems according to Islamic Shari’ah. To make investment through different modes permitted under Islamic Shari’ah. To help ensure just and equitable distribution of income. To avoid the production of harmful goods and services. To establish economic equality and eliminate economic exploitation. 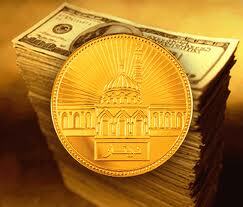 The concept of Islamic Banking is several decades old. The first attempt to establish an Islamic financial institution took place in Pakistan in the late 1950s with the establishment of a local Islamic Bank in a rural area (Wilson 1983). Some pious landlords who deposited funds at no interest, and then loaned to small landowners for agricultural development initiated the experiment. The borrower did not pay interest on the credit advanced, but a small charge was levied to cover the Bank’s operational expenses. The charge was far lower than the rate of interest. The second pioneer experiment of putting principles of Islamic Banking and finance into practice was conducted in Egypt from 1963 to 1967 through the establishment of the Mit Ghamar Savings Bank in a rural area of the Nile Delta. The experiment combined the idea of German savings Bank with the principles of rural Banking within the general framework of Islamic values (Ahmed 1992). The Bank’s operation was based on the same Islamic principle i.e. no-interest to the depositors or from the borrower. This was the first Islamic Bank in an urban setting based in Cairo. The Bank is a public authority with an autonomous status (Ahmed 1992). The principles of operation of the Naser Social Bank are very similar to those of the Mit Ghamr Savings Bank. However, the latter offers a full range of normal Banking services and a wide range of investment activities through equity participation. Islamic Banking, contemporary to that in Egypt, emerged in Malaysia. It was a financial institution developed for the pilgrims of Malaysia. These institutions were established in response to what was the contention of the Malaysian Muslims that money spent on pilgrimage must be Hallal and free from ‘Riba’ Consequently, Pilgrims Savings Corporation was established in 1963, which was later on incorporated into the Pilgrims Management Fund Board in 1969. Later the Dubai Islamic Bank was established in 1975. Since then, a number Islamic Bank and financial institutions have been established of different parts of the world and have been functioning successfully. In August 1974, Bangladesh signed in the Charter of Islamic Development Bank and committed itself to refom its economic and financial system according to Islamic Shariah. Late President Ziaur Rahman, In January 1981, while addressing the 3rd Islamic Summit Conference held at Makkah and Taif suggested, “The Islamic countries should develop a separate Banking system of their own in order to facilitate their trade and commerce.” This statement indicated favorable attitude of the Government of the People’s Republic of Bangladesh towards establishing Islamic Banks and financial institutions in the country. Earlier in November 1980, Bangladesh Bank sent a representative to study the working of several Islamic Banks abroad. In November 1982, a delegation of IDB came to Bangladesh and showed their keen interest in establishing a joint venture Islamic Bank in the private sector. Two professional bodies Islamic Economics Research Bureau (ERB) and Bangladesh Islamic Bankers’ Association (BIBA) made significant contributions towards introduction of Islamic Banking in the country. They came forward to provide training on Islamic Banking to top Bankers and economists to fill-up the vacuum of leadership for the future Islamic Banks in Bangladesh. They also held seminars, symposia and workshops on Islamic economics and Banking throughout the country to mobilize public opinion in favor of Islamic Banking. At last, in March 1983, the long drawn struggle to establish an Islamic Bank in Bangladesh becomes a reality and Islami Bank Bangladesh Limited (IBBL) was established in which 19 Bangladeshi national, 4 Bangladeshi institutions and 11 banks, financial institutions and government bodies of the middle East and Europe including IDB and two eminent personalities of the kingdom of Saudi Arabia joined hands.